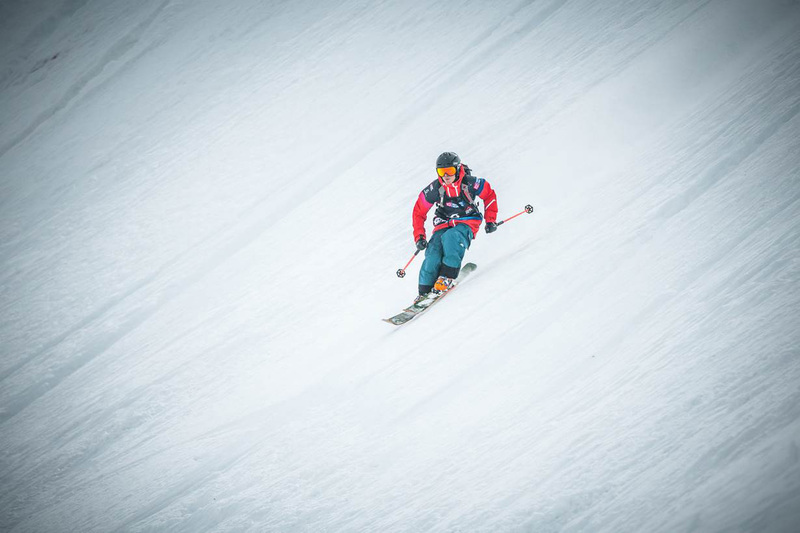 The young Swede came on board with the crows at the start of the season and finished first in the Freeride World Qualifier this winter, qualifying splendiferously for the Freeride World Tour 2016. He prudently answers a few questions below. Not particularly loquacious by nature he doesn’t really like talking about himself. At the grand old age of 25 this impetuous skier prefers to keep a low profile. 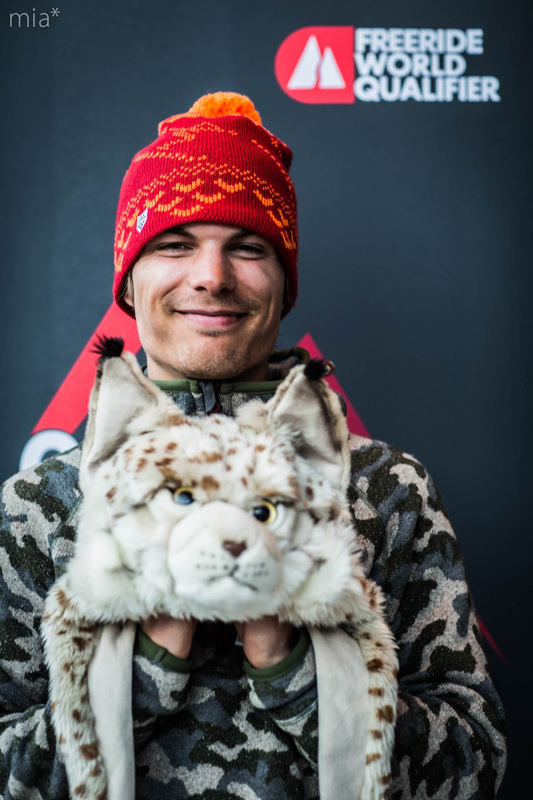 But whatever he does he tries to do it well, demonstrated by two consecutive wins at the Scandinavian Big Mountain Championships and his first place in the Freeride World Qualifier and his qualification for the Freeride World Tour. Many onlookers consider him an exceptional skier, a virtue which is confirmed by consistently good competition performances, but above all Kristofer is crazy about skiing and devotes all of his energy to this passion. black crows : Hello Kristofer, so where are your from and how did you start skiing ? I’m from inside the Arctic Circle. I learnt to ski way back when at a local mountain called Dundret. Back then all of my friends and family went skiing whenever they got the chance. black crows : Aside from your first place in the FWQ, how did your season go ? I’ve been travelling a lot for comps this season – France, Austria, Italy, Slovakia, Switzerland – so that took up a lot of time. But in between trips I tried to go back to my winter home in Andermatt to get some good ski days in. black crows : Were you aiming to qualify for the FWT as soon as you signed up to the FWQ ? At the start I didn’t really have a plan. I got a wild-card and the confirmation that I could compete 3 days before the first comp in Hochfugen. I ended up having a good run and won that comp and that got me thinking that maybe I could qualify for the FWT. After that I kind of messed up my runs in the next two comps and I think that setback motivated me even more and I decided to try and do more comps to boost my chances of qualifying for the FWT 2016.
black crows : Did you put some tricks down or did you mostly ski fast and hard in the comps ? I did a backflip in Hochfugen, but apart from that I mostly just focused on skiing. black crows : Did you keep an eye on the FWT ? Did you notice any differences in the venue choice or level of skiing ? Yes, I tried to watch it whenever possible. Most of the faces looked a bit longer and more challenging and of course the riding is at a higher level. It seemed like on a good day most of the riders on the FWT were in with a chance of winning. black crows : What about Verbier – have you ever skied the Bec des Rosses ? Do you like the look of it ? I’ve only skied in Verbier once. I headed up the Bec to check it out and had mixed emotions. Part of me thinks it’s a pretty scary face but the other part of me knows that if I got the chance I would be massively up for skiing it. 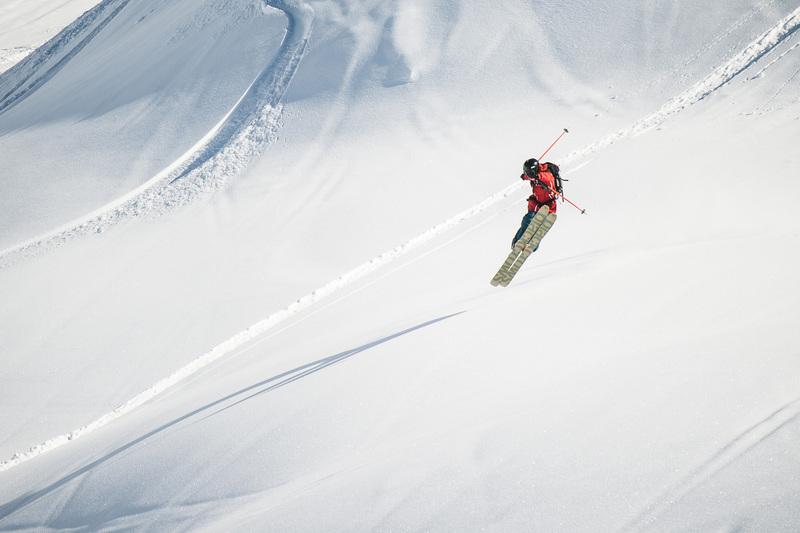 black crows : Do you consider freeride competitions as a career opportunity ? When my friends signed me up for the Scandinavian Big Mountain Championships (BMSC) in 2011 it was really just for fun but this year, with the Freeride World Qualifier, I started to take it more seriously. black crows : Are you going to participate to the BMSC this year or are you going to relax a bit ? Yes that’s the plan. It’s always the best season ender to head up north for spring skiing and touring! And after winning the last two years (he came 2nd in 2011 and 4th in 2012, Ed.) I have to at least give it a try to win a third time. black crows : And this summer, what happens after skiing ? I haven’t made many plans but I’m no doubt going to try to work as much as possible so I can go skiing next season again! black crows : What do you normally do for a living ? Miner, farmer, consultant, sell my skis from old sponsors. black crows : You have an impressive record at competitions. How do you explain this success ? Do you have a competitive spirit ? I think my downhill background has something to do with it and most of the time I manage to stay pretty calm. black crows : What memories do you have from ski racing? Did you do well? I remember flapping around in my older brothers race suits which were too big for me and winning and being freezing cold. black crows : What was it like growing up in the North ? Did you ski a lot? The winters are long so you get a lot of days skiing in. I did a couple of years combining skiing and studying but I got bored because most of my friends had stopped downhill racing. black crows : Did you do some freestyle too? I did some freestyle when I was younger but just for fun. black crows : Did you have some skiers you looked up to when you were growing up ? Loads – both skiers and snowboarders. black crows : Do sponsors follow your results or do you have to promote yourself ? So far I haven’t promoted myself but I did just start using Instagram! black crows : How do you see your ski future? What are your aims? To be able to ski forever. black crows : How do you organize your season ? Do you live on the road or do you go back and forth to Sweden ? I usually start the season in November in Sweden and then travel down to the Alps and stay there from January until April. Then for the end of the season I head back up to Scandinavia where you can ski until June. Skiing is about skiing with your mates, meeting your girlfriend, travelling… Skiing means everything to me. black crows : Do you also have time to film ? I’ve only done a few edits with my friends. black crows : Where are your favourite places to ski ? 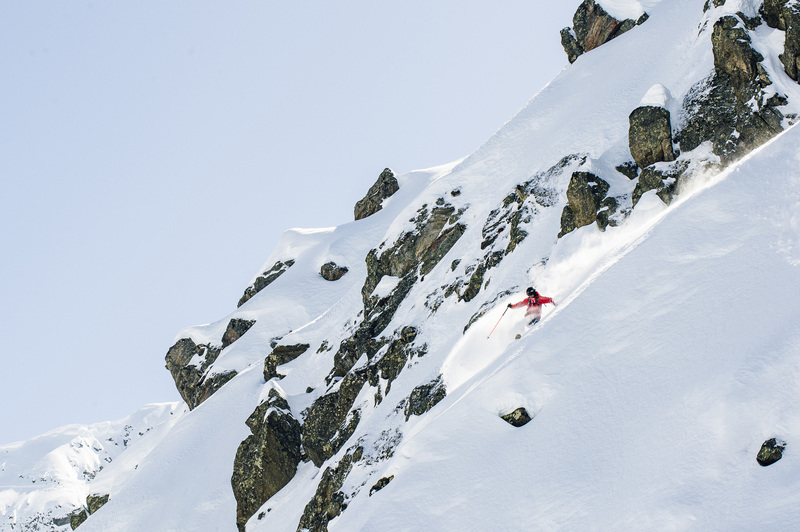 Andermatt, Riksgränsen and La Grave… but most mountains are fun to ski if you’re in good company. 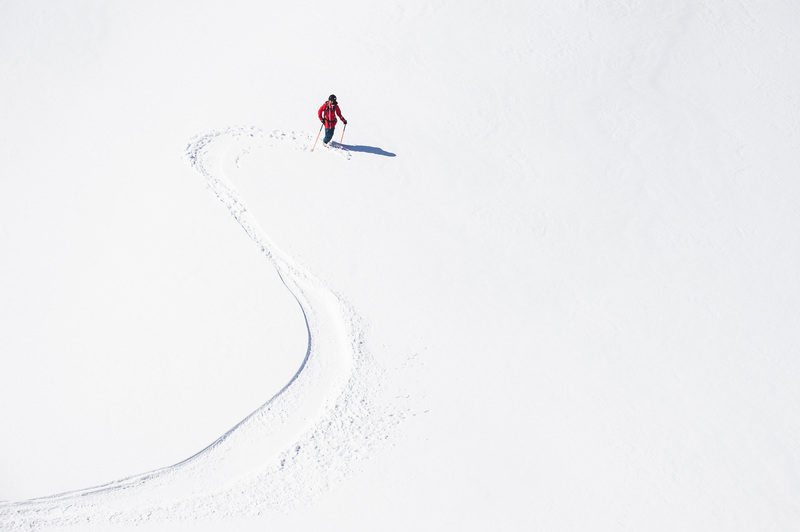 black crows : Are ski mountaineering and steep skiing your cup of tea as a skier? I like resort skiing because of the sheer amount of skiing you get in thanks to the lifts. But I also enjoy ski touring in the summer to explore new places. Steeper is better. black crows : How did black crows first catch your eye ? I was first struck by the look of the skis. black crows : What model(s) do you use ? At the moment I use the Atris and the Anima a bit too. black crows : What do you think about the skis ? The skis eat Andermatt sharks for breakfast and still look great at apres ski. 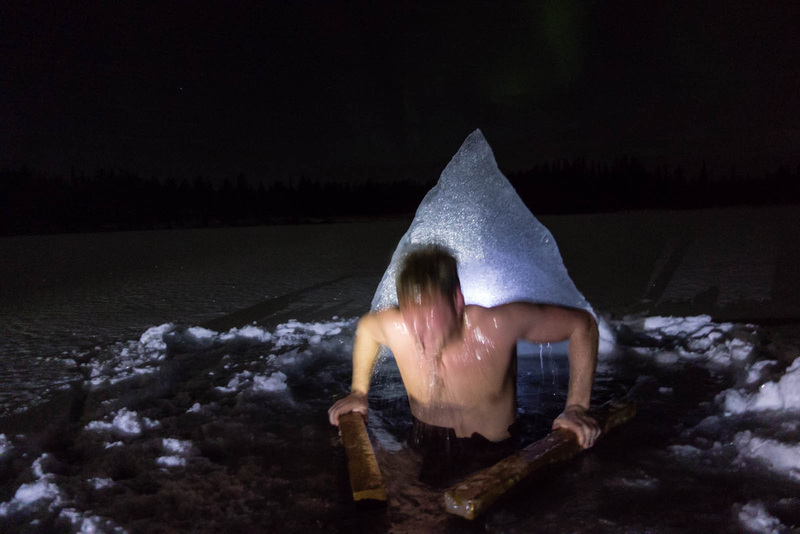 The atris are super easy to handle and work in all conditions. I’ve been skiing the anima for a few weeks now. They’re 194 cm long so super stable at high speeds and on landings! black crows : And how about the brand in general ? black crows : What do you think of Chamonix ? I’ve only spent a few days there but that was long enough to realise that it’s one of the best places I’ve ever skied. And I’d highly recommend checking out the market which is on every Saturday.